Only one tender engine featured at the East Lancashire’s small engines weekend and it was a very special one. The only survivor of a class of 484, this Lancashire and Yorkshire 0-6-0 class 27 (also known as class A,) it was built in Horwich in 1896. Designed by John Aspinall, these powerful and useful locomotives were such a success that 50 examples managed to last until 1960. Originally numbered 1300 by the L&YR, the locomotive is currently running as London, Midland and Scottish Railway (LMS) number 12322. 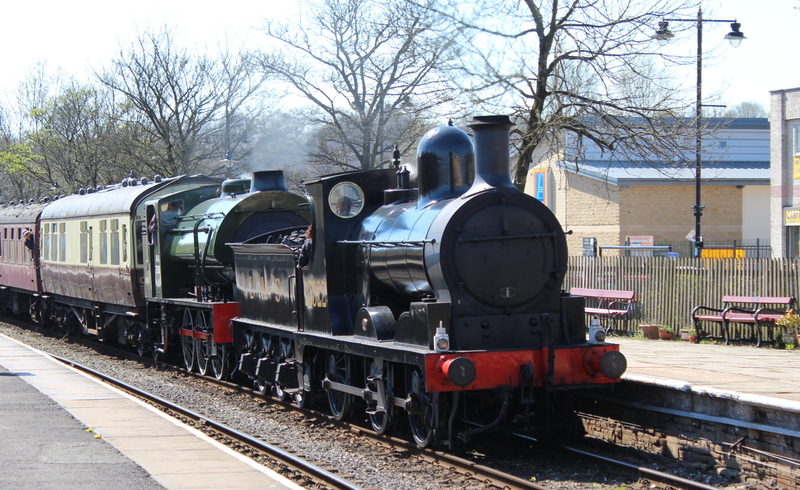 12322 is currently on loan to the East Lancashire Railway from its usual base; the Ribble Steam Railway. Being a southerner, I rarely get to see locomotives of the former L&YR, the last one being 1008, a 2-4-2T steam engine at the National Railway Museum, York (click here to read more.) As such, I was very happy to see this simple and rugged machine in steam.